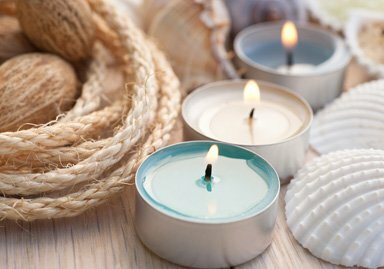 SeaCasas offers beeswax candles and the purest soy candles – all infused with essential oils and premium fragrance oils for the perfect lasting aromas. Soy candles are eco-friendly, clean-burning and, best of all, made from a renewable resource so there are no toxic emissions. Ideal for persons with sensitivities and allergies. The perfect complement to a healthy and environmentally conscious surrounding.